NASA leads the way in scientific discovery of the Earth, of other worlds and of the cosmos. Advancing new technologies in aeronautics and space systems, NASA’s missions expand the frontiers of human experience and allow American industry to cultivate a growing space marketplace. with private industry every day. Through NASA iTech, we reach beyond traditional partnerships into early, independent innovation. NASA iTech helps us identify the innovations we will need in the future (and the people behind them). We connect them with investors who can help propel them forward, and industry leaders who can partner or invest in the technologies. INCLUSIVE: Ideas may come from independent innovators, small or large businesses, academia, even other government organizations — anyone who may not have previously had a forum to present their solutions to NASA leadership or their industry partners. 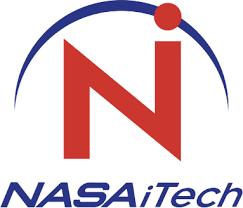 RESPONSIBLE: NASA iTech takes a fresh approach from traditional government programs. NASA gives no government funds and takes no ownership of the intellectual property. EFFECTIVE: Companies and innovators that have participated in NASA iTech since its inception have gone on to leverage $368 Million in private investments in just 24 months, while NASA grows a list of technologies it may use for future missions. There are two NASA iTech Forum Cycles per calendar year, each with its own focus areas. Innovators may apply to one or both cycles using the links below. Applications are open now. NASA iTech holds two forum cycles per year, with focus areas in artificial intelligence, autonomous robotic capabilities, augmented and virtual reality and more. Learn more about this great event!